Hair fringes are definitely a part of most hairstyles. 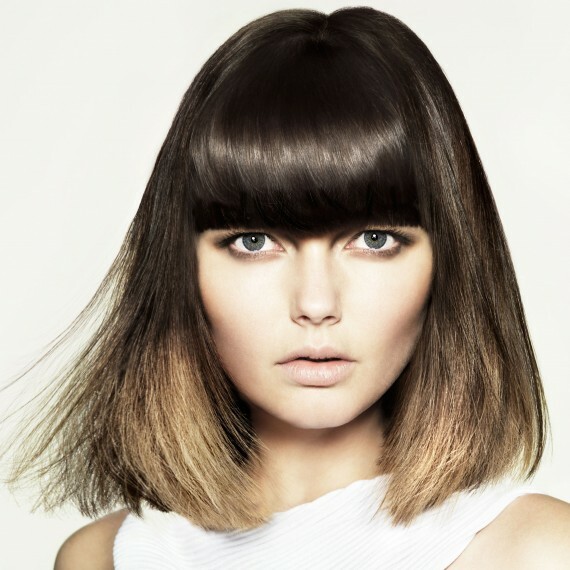 Fringes, or bangs, are sections of hair at the front near the face that are cut to obscure the forehead and can be used to accentuate different features of the face such as eyes, cheekbones and even your ears! Picking the right hair fringes for your face shape is important as a bad set of bangs can be just as devastating as the wrong hair color or over all style. A few tips to remember: bangs should always fall at the middle of the eyebrows or just below and you should visit your stylist every few weeks for a touch-up. A heart shaped face has a wider forehead and narrow chin which means those with heart shaped faces want to avoid bangs that are straight-cut and blunt across as they can make the forehead appear wider and the face longer. Side swept hair fringes or wispy cut bangs give angles to the face making it appear a bit shorter. If you have an oval shaped or oblong face, you can pull off blunt cut, straight bangs. You can also pull off layered and angled bangs that are cut at eyebrow height and get longer towards the edges of the face. These help to frame the face making it a little shorter. If your face is round you want to avoid blunt cut or straight bangs as well as soft bangs that accentuate the roundness of your features. Instead, opt for long bangs that you can sweep dramatically to the side to give angles and shape to your face making it appear longer and slimmer! Square shaped faces want to look for bangs that soften the angles of their jaw. Those with square shaped faces should look at angled bangs that taper towards the hairline and blend into the layers to add dimension without accentuating the jaw.